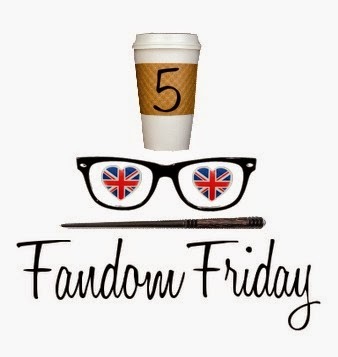 Today’s Fandom 5 is about those times I completely fangirled. Honestly, I fangirl a lot. I love to get excited and freak out about the things that I love. It’s part of what I love about fandom. When a new trailer releases for a movie I’m excited about releases? 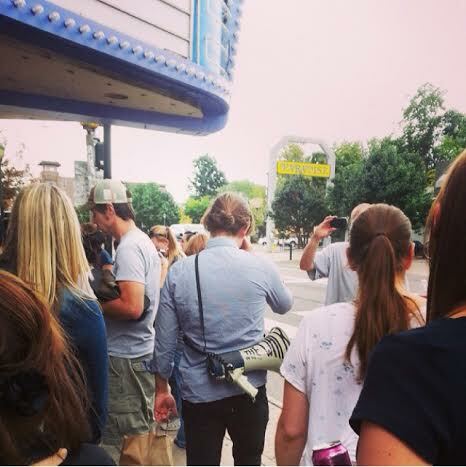 Fangirl. Season premiere of my favorite show? Fangirl. Awesome new Funko doll? Fangirl. Like I said, I fangirl a LOT, but these are some of my favorite fangirl stories. 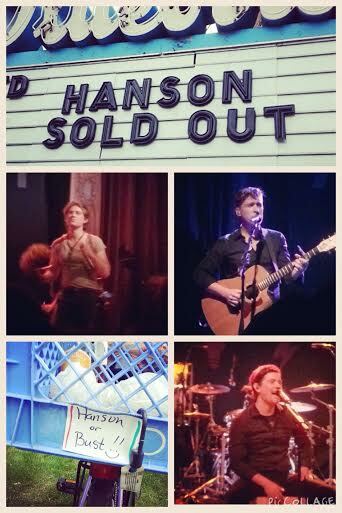 Any time–any time–I get to see Hanson in concert. I completely fangirled when I got to see Welcome to Nightvale live. It was the BEST experience ever. I wasn’t sure what to expect from seeing a live-reading of a podcast, but it was amazing. The actors did a great job, and even though there are no props or costumes, you are completely sucked into the story, just like when you listen to a recorded podcast. 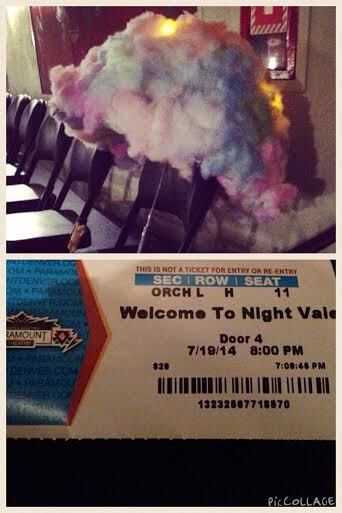 The theatre was filled with other Night Vale fans, many of them dressed in awesome cosplay, and the Glow Cloud (all hail) even had a seat in the back. It’s been a great time to be a Whovian. 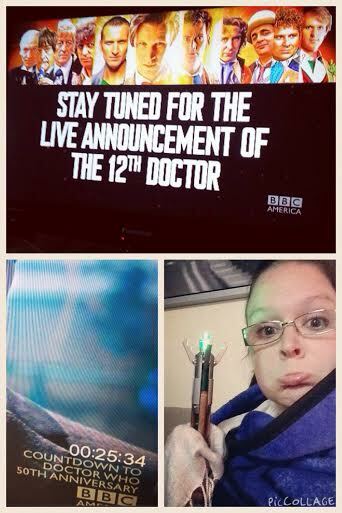 We had the live announcement of the 12th Doctor, the 50th Anniversary special, the horrific Christmas special where Matt Smith regenerated (the pic of me was taken just before that ep started), and this year’s Christmas special with…Clara’s choices (avoiding spoilers). There have just been a TON of awesome things happening in the world of Who, and it has been leaving me in a pretty constant state of Whovian fangirling. George: *looks around, overwhelmed by pink* Um, can you help me? Kendall: *turns around, recognizes George, freezes* Y-yes. What can I do for you? George: I want to get my girlfriend these pajamas she saw in the catalogue. Would you guys have them in the store? Kendall: *still frozen* Well. M-m-maybe. Which ones are they? Kendall: *begins to thaw* Sure. Sure. I think we’ve got that. *turns to leave, turns back to George, begins speaking with furious speed* Okay, I’ve just got to know, it’s driving me crazy, are you the guy from 7th Heaven? George: *smiles, sighs* Yeah, that’s me. We got off to a rocky start, like I said, but ultimately I was able to save my fangirling for the stock room, was able to be professional on the sales floor, and got him set up with a great Christmas gift for his girlfriend–cozy PJs and cozy slippers. Awkwardness and all, I’ll be honest, it is one of my favorite memories from my time at Victoria’s Secret. What are some moments when you totally fangirled? Let me know in the comments! Be sure to check out my other Fandom 5 posts, and follow the hashtag #Fandom5 to see what everyone else is saying! Haha, I so wouldn’t have had the guts to ask if I suspected someone was a celebrity!! 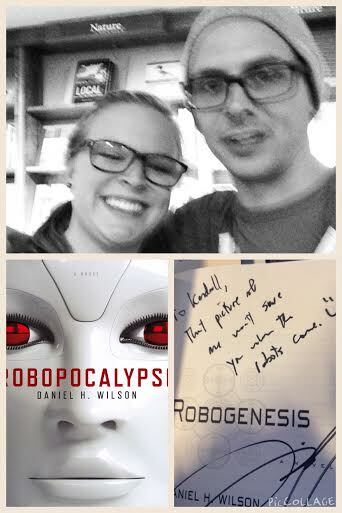 I’ve yet to meet an author in person yet, but I can guarantee when I do it’ll be a fangirl moment for sure! LOL The pajama story has me dying! I agree – its a great time to be a Whovian! Its the fandom that just keeps on giving! Aww I was never familiar with Hanson aside from the “mmmbop” song, but I LOVE stories of ‘celebs’ being so cool and down to earth and kind! I still get teary eyed over the final Matt Smith episode. He was such a great Doctor.